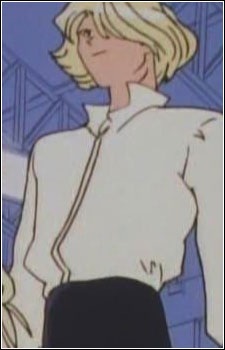 Misha was a famous figure skater who, along with his partner, Janelyn, was possessed by Kunzite and forced into becoming part of a Dark Kingdom plan to find Sailor Moon. The two figure skaters were to lure people to a skating rink and search for the girl skilled enough at skating to be Princess Serenity's current incarnation. Their trap failed, however, when they instead snared Makoto Kino. The pair were healed by Sailor Moon and returned to normal.